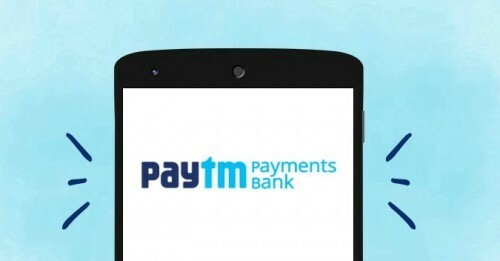 Paytm’s parent company One97 Communications and its founder Vijay Shekhar Sharma have invested Rs 122 crore in Paytm Payments Bank, taking their total fund infusion to Rs 400 crore. While, Vijay Shekhar Sharma invested Rs 62 crore, the rest came from One97 Communications and One97 Communications India, according to filings made with the Registrar of Companies, reports ET. Sharma and One97 Communications had initially invested about Rs 220 crore in the payments bank, with Sharma owning majority stake. In September both pumped in a transaction of another Rs 60 crore. Paytm Payments Bank was incorporated in last August and started operations in May this year. The company’s filing with the MCA reveal that between August 2016 and March 2017, the bank saw a turnover of Rs 2 crore while its losses stood at Rs 30 crore. Presently, India has only four payments bank operational- Airtel Payments Bank, India Post, Paytm Payments Bank and Fino Payments Bank. Notably, RBI had issued license to eleven entities in the country. The Paytm Payments bank offers an interest of 4 per cent per annum for savings accounts, which is lower than what Airtel and India Post are offering. Airtel offers the highest interest rates of 7.25 per cent, while India Post is offering interest rates between 4.5-5.5 per cent. A recent report in Bloomberg Quint revealed that the four payments bank have seen customers put in only Rs 236.45 crore into their accounts as on September 30. Out of that, around Rs 224 crore is deposited with Airtel Payments Bank alone.